Attract new clients. Create deeper loyalty within an established customer base. Nowadays, your social media strategy is one of the most powerful marketing tools in your toolkit. 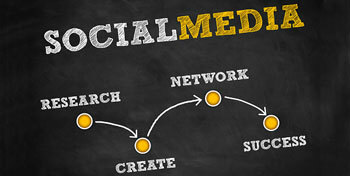 To undertake a strategic social media strategy it’s important, first and foremost, to understand your goals. Are you looking to increase your sales or drive website traffic to your site? Are you trying to build customer loyalty? These and other goals should align with your broader marketing strategy, so that your social media efforts drive toward your overall business objectives. Hunter + Co Communications will work with you to define those objectives and then help develop your messages (content), and choose your channels – the best fit for the products or service you are offering — like Linkedin or Twitter, for example. Before diving in, its important to know who your audience is and what they want. After establishing your plan it’s important to set up a content plan made up of strategies for content creation and content curation. How often will you post content? Who is the target audience? What is the best way to schedule your delivery? Finally, and if possible, you should test and evaluate your social media strategy. Use social media analytics to track the success and reach of all campaigns and page visits. Analyze your successes and then adjust your plan moving ahead. We’ll help you embrace the world’s best marketing tool: word-of-mouth.